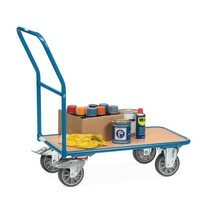 The Ameise® transport trolley features a folding handlebar for space-saving storage and easy transport. 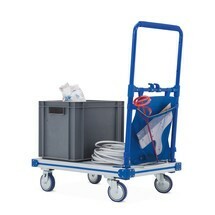 This makes it ideal for occasional use in your operation. 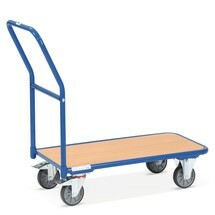 The open load surface can accommodate even the bulkiest of goods. 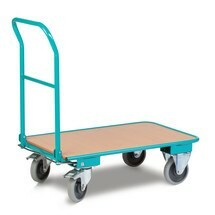 This small aluminium platform trolley is your perfect mobile helper. 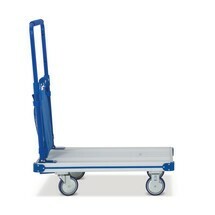 It fits easily into your luggage compartment but unfolds to provide you with a powerful transport solution that can carry up to 150 kg and offers the added benefit of a convenient hanging pouch. 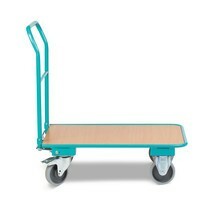 The fetra® platform trolley with wooden load surface offers ample space for large and bulky items. Thanks to the robust tubular steel construction, it can easily accommodate heavy loads, which are transported with ease via the angled handlebar.